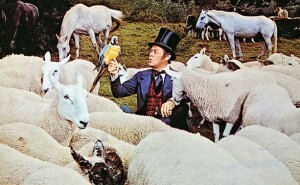 Brian Terrill's 100 Film Favorites - #33: "Doctor Dolittle"
Today’s pick is probably the highest-ranking instance of a film that I love, but pretty much everyone else hates. 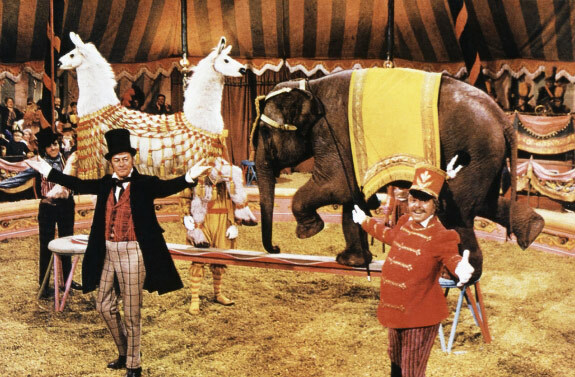 It’s the 1967 musical adaptation of Hugh Lofting’s Doctor Dolittle series, about an eccentric veterinarian who can actually “Talk to the Animals.” The music was written by Leslie Bricusse and Anthony Newley, who would go on to score Willy Wonka & the Chocolate Factory in 1971. 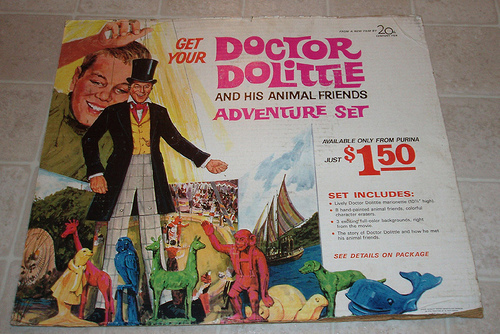 Matthew takes his young friend Tommy to meet Dolittle (Rex Harrison), and we learn the good Doctor’s backstory: He was once a practicing physician, treating human patients. However, these patients took exception to the veritable menagerie of animals that Dolittle kept in his home, and his practice began steadily declining. This suited the Doctor just fine, as he likewise grew more and more misanthropic, preferring the company of animals to that of people. Dolittle was saved from becoming a run-of-the-mill crazy cat person when his pet parrot Polynesia remarked that animals are capable of talking to one another, with each species conversing in a distinct language. 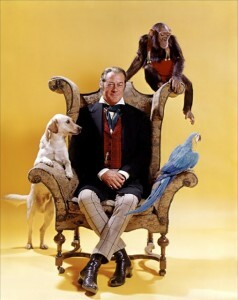 Dolittle re-dedicated his life to learning every animal language he could. Over the years, he has amassed a repertoire of some 497 such languages (with Matthew proposing they have a party when he reaches 500). 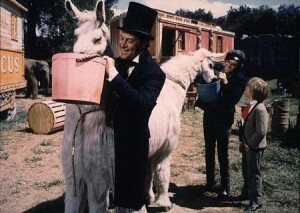 Among Dolittle’s human detractors is General Bellowes, an aristocrat who declares the Doctor a horse-thief after Bellowes’ horse seeks Dolittle’s aid for its “nearsightedness.” Bellowes’ distaste for the Doctor is initially shared by his niece, Emma, who comes to Dolittle’s home to give him what-for. Matthew is smitten with Emma, whom he nicknames “Fred” for her feisty, “masculine” spirit. Shut up. I’ll keep dogs in my coat if I want to. Doctor Dolittle’s dream is to one day travel the world in search of the legendary “Great Pink Sea Snail.” Unfortunately, accepting payment from his animal patients in the form of “whatever they happen to have” hasn’t left the Doctor with an abundance of capital. Luckily, a mysterious acquaintance sends Dolittle a generous gift: a pushmi-pullyu, an extraordinarily rare creature closely resembling a two-headed llama (with one head at each end). Dolittle decides to partner with Albert Blossom, a circus proprietor played by David Attenborough’s brother, Richard (who would later play Hammond in Jurassic Park). With the pushmi-pullyu as the circus’ star attraction, Blossom and Dolittle rake in money. All goes swimmingly until the Doctor takes pity on a circus seal named Sophie. Sophie claims to be homesick and to “miss her husband,” a seal still at large in the wild. Dolittle dresses Sophie in women’s clothing to smuggle her out of the circus, then pauses to sing a touching love ballad before hurling her off a cliff into the ocean. Nearby farmers see the Doc throwing what appears to be a woman’s body into the sea, and Dolittle is arrested for murder. 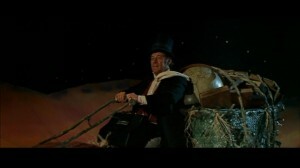 Dolittle’s compadres bust him out of prison, and they sail away on a boat purchased with their recently-acquired circus booty. Emma stows away as well, warming to the Doctor’s worldview and his sense of adventure. Though the ship is wrecked by a stormy sea, Dolittle and friends eventually drift to Sea-Star Island, a tiny island which has remained uncharted throughout the ages because it floats from place to place. Here they meet William Shakespeare, the leader of a native tribe who name themselves after favorite authors. Shakespeare implores Dolittle to aid the island’s animals: Sea-Star has floated too far north, chilling the tropical creatures who live there. The Doctor recruits a mighty whale to nudge the island back in a southerly direction. Unfortunately, the shock from the whale’s blow causes a teetering boulder to fall into a volcano, an event foretold by the islanders to be a bad omen. Dolittle and co. are summarily sentenced to be executed. They are just barely saved when the island collides with “the mainland,” perfectly rejoining the continent where it had originally broken off (trees split in half by the fissure even come together flawlessly). This is seen as a positive omen, and the Doctor is heralded as a hero. While treating the island animals, Dolittle is surprised by the arrival of the Great Pink Sea Snail, also suffering from a cold due to the island’s wanderings. The Snail offers to give Matthew, Tommy, and Emma a ride back home (the Doctor has opted to stay on the island to continue his studies of the plentiful wildlife). Emma objects to this, as she has developed feelings for the Doctor, resulting in an awkward love-triangle in which the oddly sexless Rex Harrison doesn’t really belong. Before it can get TOO awkward, however, Dolittle succeeds in shooing his friends back to England. Colossal sea snail: great movie prop, or best movie prop? Dolittle lives on the island a short while, until Sophie the seal and her husband arrive with an announcement – Dolittle’s absence has driven the animals of England to go on strike, and as such, the human authorities have pardoned the Doctor and urge him to return. With the islanders’ help, Dolittle summons the Giant Lunar Moth, a colossal insect which he saddles and flies back to Britain. Good old-fashioned Victorian space travel. Astronauts really ought to wear more top hats. 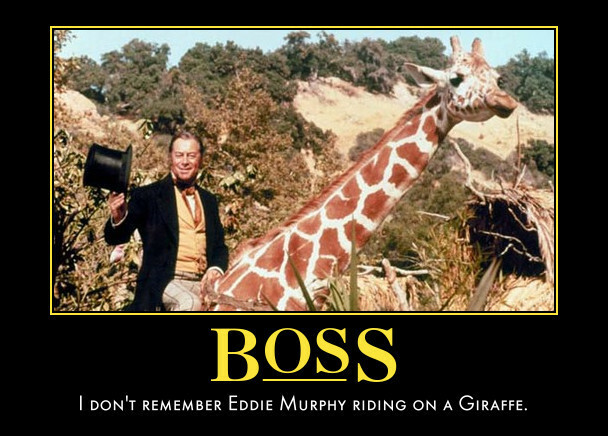 The production of Doctor Dolittle was…eventful, to say the least, and the film’s budget soared to $18 million, nearly three times the intended cost. 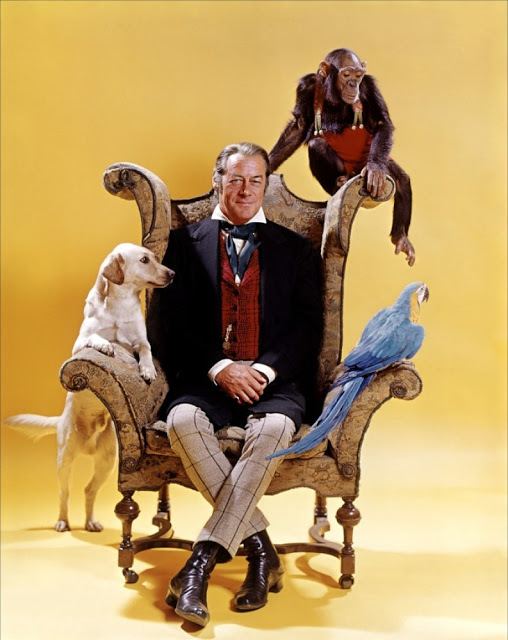 This was due to a number of factors: For one, Rex Harrison was something of a diva, and his many demands left the filmmakers so frustrated that he was to be fired and replaced by Christopher Plummer (Captain Von Trapp from The Sound of Music). Harrison agreed to stay on, but Plummer’s contract stipulated that he must be paid as though he HAD done the film, requiring the studio to pay two lead actor’s salaries. The budget climbed further when the crew finished shooting the “Puddleby” scenes in England, only to find that customs laws forbid them to take their numerous exotic animals out of the country. This required the purchase of an entirely new set of animals for the second half of the film. After paying for the movie several times over, 20th Century Fox was nearly bankrupt and sought ways to make money from the movie: namely, by merchandising the hell out of it, and by wining and dining Academy members. The merchandising even included the release of a tie-tin Chipmunks album, “The Chipmunks See Doctor Dolittle,” in which Alvin, Simon and Theodore recount the plot of the film. The movie ended up only making back around $9 million dollars, however, and the marketing push simply amounted to more wasted money. In fact, this disaster is credited as one major reason why Fox was willing to offer George Lucas full merchandising rights to Star Wars ten years later. So, after all of that kerfuffle, why do I like this movie? -The character of Doctor Dolittle is pretty unique. He’s largely a misanthrope, but you come to understand his motivation and his complexity through songs such as “Like Animals” and the earlier “Vegetarian,” in which the Doctor explains that while he loves the taste of meat and often craves it, he remains “a reluctant, but sincere, vegetarian” because of his desire to respect animals and treat them as equals. Again, I like to keep politics out of these posts, but I think that, to anyone who has seen me take down a chicken-wing challenge, it will come as no surprise that the fight for “animal rights” is not exactly my most passionate cause. But even I was touched by Dolittle’s mission and his situation within a society unreceptive to his message. -The songs are great. Though critic Leonard Martin dismisses them as “forgettable,” I would describe the film’s music numbers as just as memorable as any in the Willy Wonka soundtrack. Particular standouts are the aforementioned animal-defense songs, as well as “I’ve Never Seen Anything Like It,” an extended number sung by Blossom as he first beholds the pushmi-pullyu, and then sees his circus rise to fame as a result of the creature’s fantastic appearance. 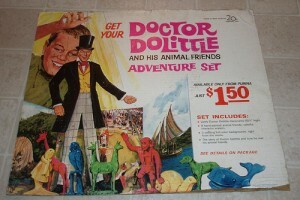 You might like Doctor Dolittle, or you might not. Even if it was a box-office bomb, it’s a memorable musical of sweeping scope. The Doctor himself is interesting, and the idea of being able to actually converse with the millions of species outside of our own is still an intriguing premise. -Bricusse and Newley were hired only after the songwriting team from earlier Rex Harrison hit My Fair Lady were unavailable and the Sherman Brothers were under contract with Disney. -As with most of his musical roles, Rex Harrison primarily employs a “sing-talk” style similar to that of later musical performer Ke$ha, and the music was written in “recitative” style to allow him to rhythmically speak his lines along with the melody. Now, having just compared Rex Harrison to Ke$ha, I will take a brief recess while dedicated My Fair Lady fans stone me to death. Thank you so very much for this. I recently caught this film on tv and absolutely fell in love. I had no idea of its reputation and the fierce feelings it had stirred, and was soon shocked when I searched it on the internet. Yes, I can understand their complaints. As a huge movie enthusiast and aspiring filmmaker, I have seen and analyzed very many diverse films, and so Dolittle’s blunders of implausible coincidence and commercial pandering did not go unnoticed. And yet, despite all this, I was so taken by its adventurous spirit, grand romanticism and endearing charm that all else disappeared. And only joy was left. I greatly appreciate your similar admiration for this delightful film. Thank YOU for the thoughtful comment! I’m glad to know somebody else enjoyed this film as I did, and took the time to read my thoughts on the matter. Check out some more posts in the series – you may find some more of your favorites, or some suggestions that might be up your alley. Oh, and keep making films, too! Brian Terrill's 100 Film Favorites - #36: "Star Wars Episode VI: Return of the Jedi"